Spc. Richard Madrid (left) and Command Sgt. 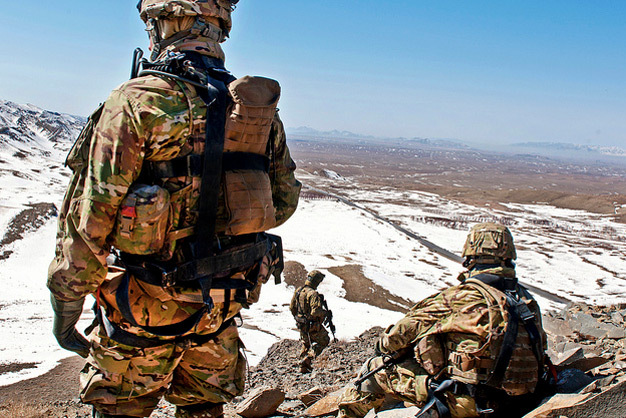 Maj. Samuel Murphy of 3rd Stryker Brigade Combat Team, 2nd Infantry Division, take in the view of the horizon at a check point near Daab Pass in Shinkay district, Afghanistan on February 25, 2012. Photo by the US Army.